We assure you’ll Be Driven in Style Everytime with Us. MaxiCABooking SG, is the best party bus service provider in Singapore. 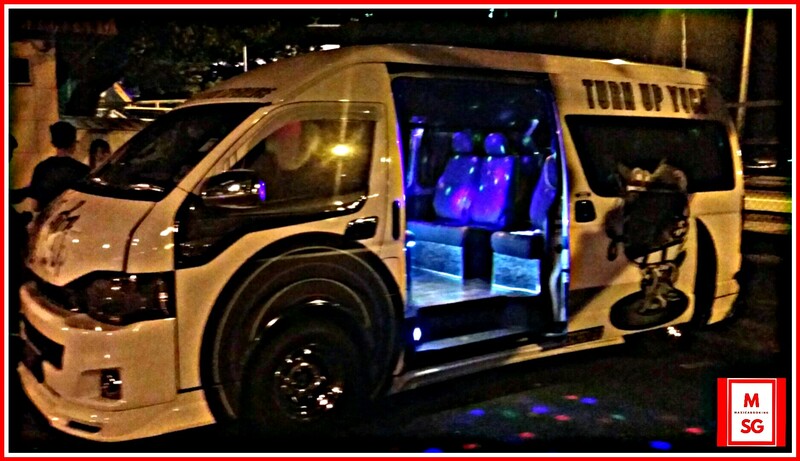 We have a large fleet of party buses to cater to all type of events and transfer services. With an exceptional fast respond operational team, we are also able to provide fast, efficient and reliable party bus transfers service anytime you need or have the urge to party. Why wait, Book your Ride Now. Each of our party bus comes with unique, individualised and different customise interiors for you to choose from to suit your party theme. Our party buses are ideal for big local events such as Zouk Out, F1 Grand Prix or even for your very own unique bachelor and bachelorette party. Party on the Go with us and be mesmerised by effects created by the laser lights and smoke machine, matched with high-end sound systems very much comparable as those used in clubs and pubs! All our party bus drivers are service-oriented and well-experience in the maxicab-limousine industry. All our drivers are employed and registered under 1 brand name Party Bus Unity Limo, so You, our customers could party safe with no worries. Our party bus drivers are trained to advice you for your party needs eg: playlists, lightings, moods etc. For any lost items or belongings, you can contact our call centre and our operator will dipatch the message to all our drivers. Item if found in any one our party buses will be returned as soon as possible. Our Party BUS Rates are fixed and standard with no hidden charges. Any extra surcharges such as extra stop and waiting time will be charge according to our guidelines and will be informed by our drivers before proceeding to avoid any disputes thus not ruining your party mood. 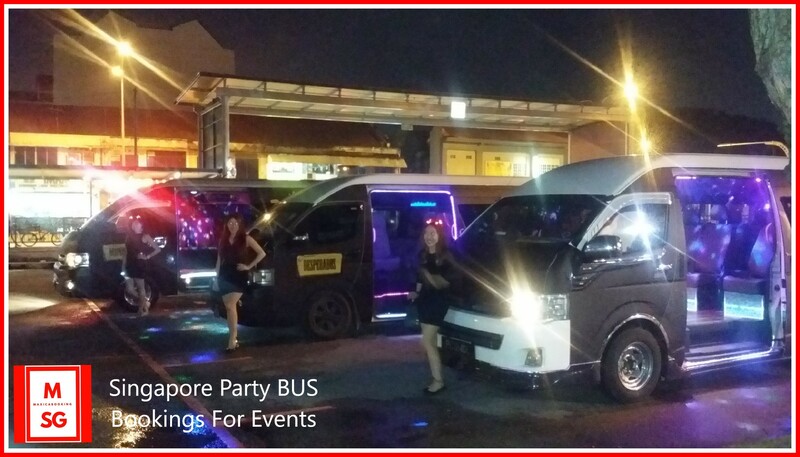 Our rates are the most competitive and the best in town thus you will definitely get the best deal for your party with us at Party Bus Singapore. For personal or corporate bookings, check out our flexible and rates and packages in town or simply call our 24HRS Hotline +65 6200 7759 for any enquiries.